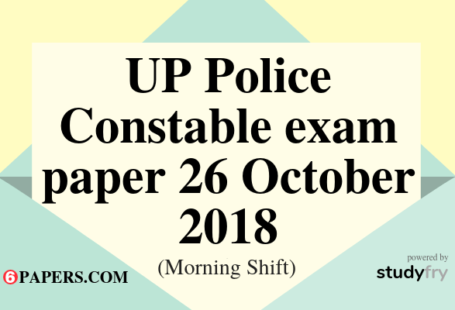 UP Police Constable exam paper 27 January 2019 with Answer key (morning shift) in English language available here. 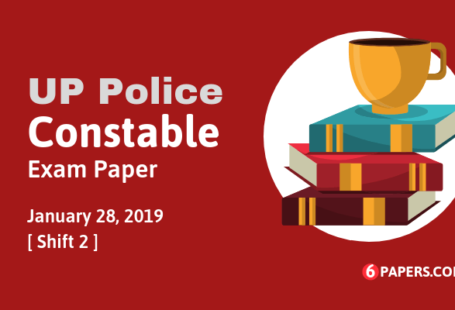 UP Police Constable exam paper with answer key held by UPPRPB (Uttar Pradesh Police Recruitment and Promotion Board) on 27 January 2019 10 AM to 12 PM (morning shift) in Uttar Pradesh state. Q1 Which Indian has won the Nobel Memorial Prize in Economics? Q2 What is the title of the autobiography / written by Indian boxer M.C. Mary Kom? Q3 Which film won the Best Popular Film award at the 65th National Film Awards? Q5 _______ is the fraudulent act of acquiring private and sensitive information, such as credit card numbers, personal identification, and account usernames and passwords. Q6 The Chitrakote Falls are situated in which state of India? Q7 Capital city of Venezuela is __________ . Q8 India has the world’s largest reserves of which of the following radioactive metals? Q9 Name the only island state of Australia. Q10 Which of the following cities is NOT situated on the banks of the Godavari river? Q11 Who became the President of India after the tenure of Neelam Sanjiva Reddy? Q12 Name Chandragupta’s son, who reigned between 298-272 BC and extended the empire throughout the whole of India. Q13 The traditional dress worn by the women of_______is called Mekhela Chador. Q14 Rabindra Nath Tagore wrote the National Anthem of which of the following countries? Q16 How many parts does the Indian Constitution currently have? 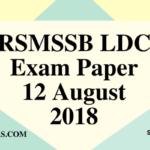 Q19 Which among the following is the oldest public sector bank in India?